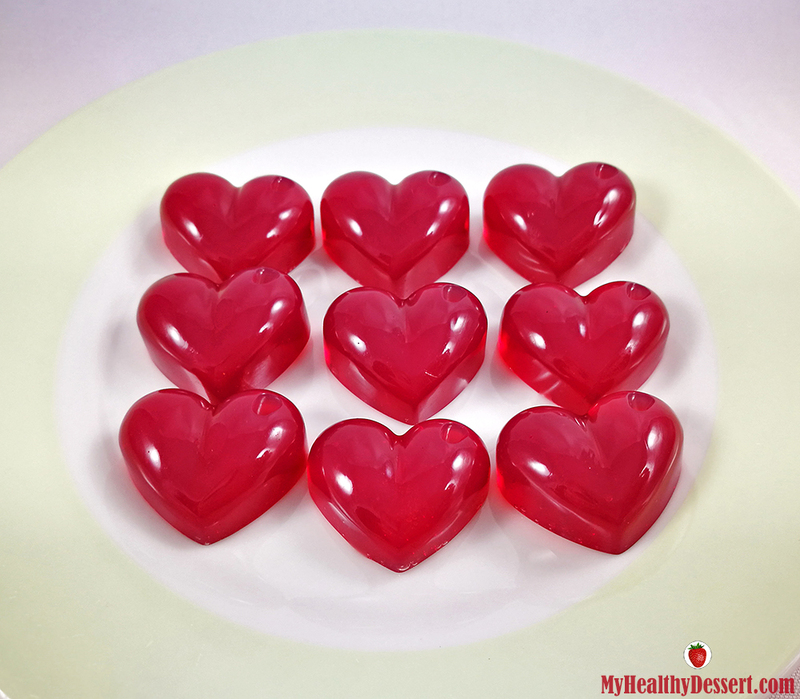 Here’s a delicious and quick recipe for cherry gummy hearts made with agar-agar. 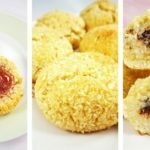 They are very easy to make, and the recipe can be adjusted to any plant-based or paleo diet depending on the juice and the sweetener you decide to use. I, personally, used the juice from a jar of homemade cherry kompot (canned cherries) and since it was already sweetened, I didn’t have to add any additional sweetener. However, you can use any type of fruit juice you like. 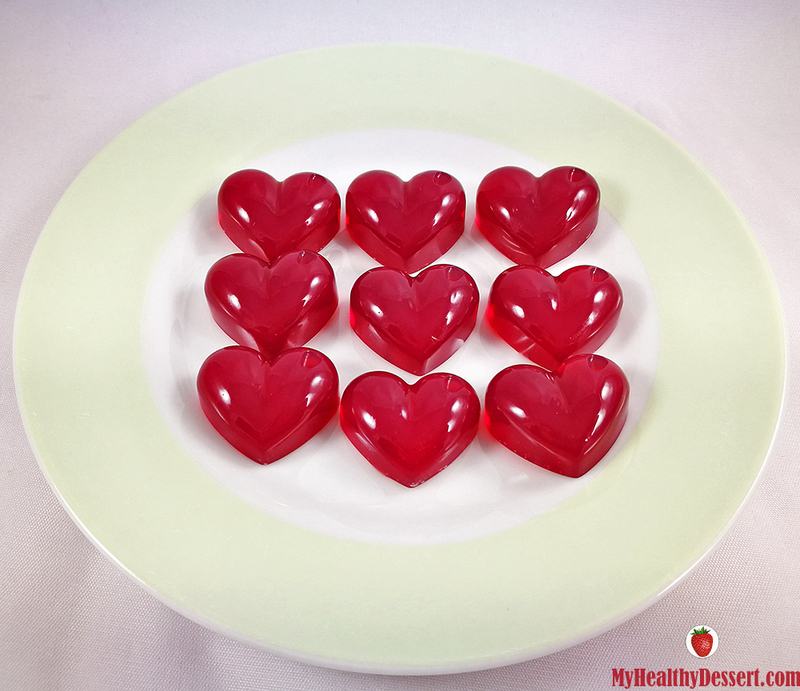 I used a silicone heart mold, and I think that these small gummy hearts look like precious gemstones. They are definitely healthier than the store-bought gummies, but they are just as delicious. 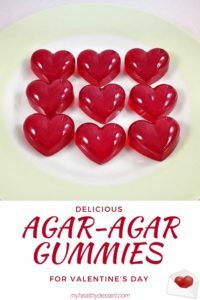 In this recipe, I’m going to share how I make these gummies, but for best results, follow the instructions on the package of your agar-agar. They can be used as decoration, too. 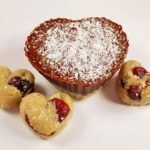 These vegan mini heart-shaped cheesecakes are similar to my coconut mango tart, but I used cherries instead of mango, and I didn’t add cocoa powder to the crust. For best results, follow the instructions on the package of your agar-agar. First, put the juice on low heat and when it starts to boil, add the sweetener and stir. Add the agar-agar powder and keep stirring for a couple of minutes until everything has dissolved and it starts thickening a little bit. Then, take it out of the stove and strain the liquid. Now you have to work quickly. Pour the liquid into the molds and after 10-15 minutes they will be hard and ready to take out. 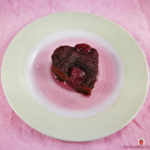 Remove them from the mold and enjoy! 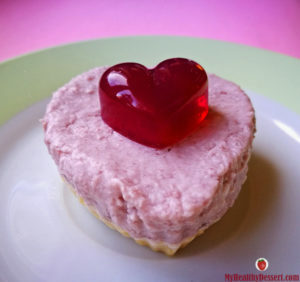 If you like the recipe, share it with your friends and if you try making these delicious agar-agar gummies for Valentine’s Day, please let me know how they turned out for you! These are so beautiful they would be a shame to eat!!! I would love to make these! thanks for the recipe. Thank you so much, Andria! They are very easy to make. 🙂 If you decide to give them a try, I’d love to hear how they turned out. Just made these, hoping they set up. Used sour green apple kool aid. Do they have to be refrigerated? I’m not sure if the agar melts in room temperature. Thanks! I can’t wait to try this recipe!